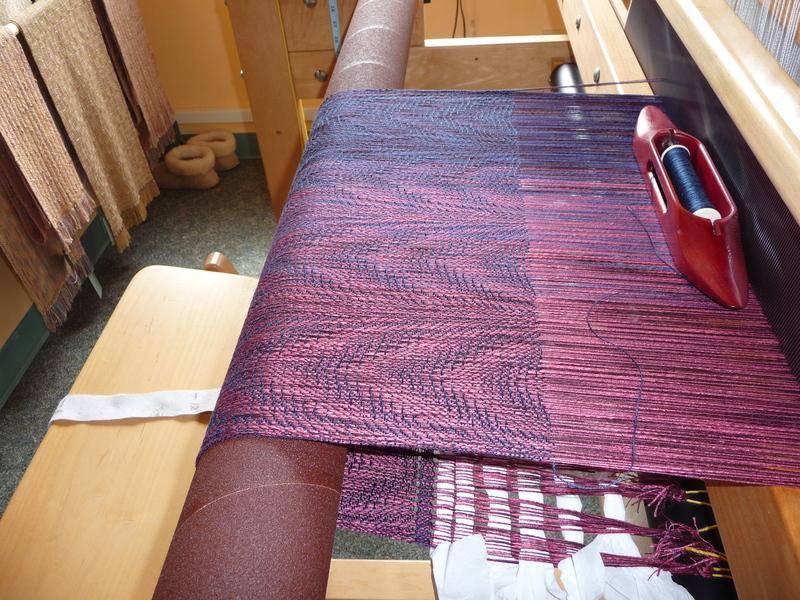 A few days ago, I showed you the tangle of threads that I was beginning to get onto my Beulah loom, and I showed also the nicely controlled warp chains looking all lustrous and gorgeous. I’ve put in a lot of hours since then wrangling this warp (remember, it’s seventeen years old, and the yarns themselves are older than that) into weavable order. Lots of tangles, broken threads and twisted blobs. And swearing. Plenty of that. In the end, I had to cut off four and a half yards of the thirteen yard total because there was a patch of so much fraying and breakage that I knew I couldn’t effectively work with it. Not and keep my sanity. The original plan was for five seven-foot-long shawls; now it’ll be three. 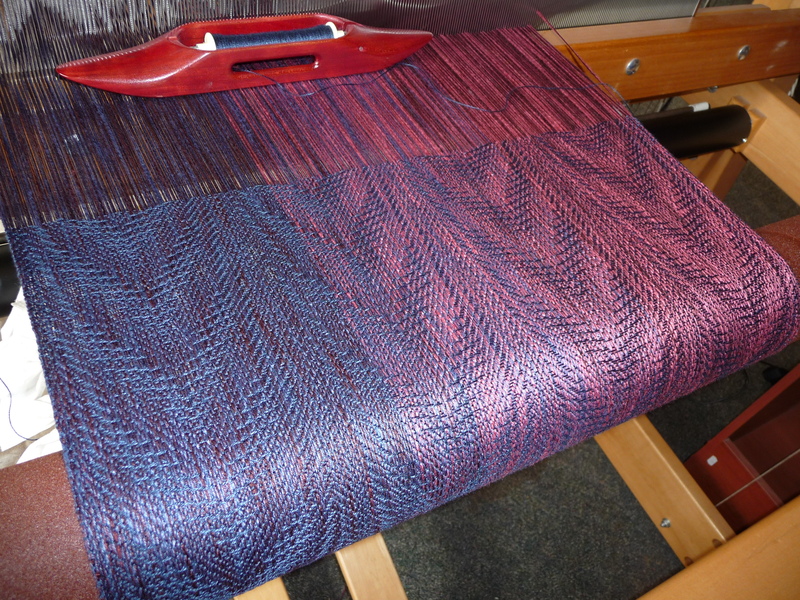 Just enough to keep me interested as I weave them, but not so many that I get sick and tired of this old warp. Gorgeous! And such an apt name for these old threads.